What a remarkable sports story, one of the most inspiring ever if not the most inspiring ever. A decade ago Tiger Woods was one of sports elite. A man who could not be touched, an immortal athlete. That all came crashing down after allegations emerged of various affairs the once decorated Woods fell from grace in spectacular fashion. 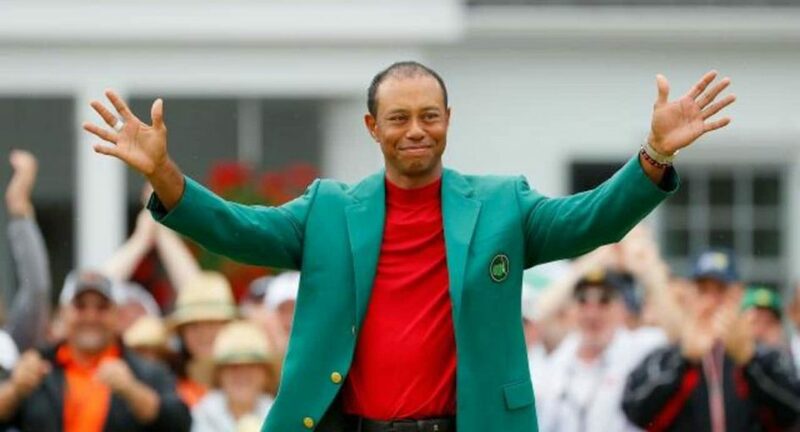 Various back problems then further hindered his career before a remarkable rise has seen Woods return to the Tiger of old to become a 5 time Masters champion and complete a turnaround some ten years in the making. Woods turned professional in August 1996. By April the following year he was a major champion claiming masters glory at the age of just 21. In 2001 Woods won the Masters again and completed what was then known as the Tiger slam, holding all four major titles at the same time. Woods won his 14th major in 2008, his last for almost 11 years. The following year Woods crashed his SUV into a fore hydrant outside his home in Florida. In the coming weeks Woods life fell apart as news emerged he had been having several affairs. His golfing career would go into a downward spiral from there. His divorce was finalised in 2010. Not until 2012 would Woods win a PGA tour event again, the Arnold Palmer invitational. In 2014 however, the various back issues began for Woods. Two more procedures on his back would follow in the Autumn of 2015 with his game seemingly in ruins. Woods then missed the entire length of 2016 before further back surgery was required in 2016, his fourth and final procedure. Woods then seemingly reached rock bottom after he was jailed with police saying they found him asleep at the wheel of his car. However, from here things took an upward turn for Tiger. His game seemed strongly improved with the previous surgery clearly helping. A victory on tour in September of 2018 had been backed up by various strong performances at majors as it seemed the Tiger of old might be returning. And in April of this year the Woods comeback was crowned with the ultimate glory at Augusta National to win his 15th major.